Are you someone who doesn’t want your style compromised for you sport? Gold style is actually a huge pat on the game, and many people take pride in what they wear on the green. Afterall, we all like to look and feel out best while we’re enjoying ourselves, and golfers are certainly no different. Beyond looking good, it’s also finding clothing that will aid and enhance your performance while you play. Golf companies are among the most innovative clothing manufacturers around. While most of us would throw of a cotton polo shirt, simple slacks and a jumper – these days it’s all about smart fabrics, like Cocona, ClimaCool and GoreTex. It can be a confusing world! This is even more apparent when you’ve got a golfing trip on the cards. If you’re accustomed to playing golf mostly in the UK and Northern Europe, taking a golf holiday might be the only chance you get all year to dust off your shorts and get some sun of your forearms and calves. A good pair of shorts are an absolute must for your golf holiday. For style over substance, you’re safe to largely follow the same trends as trousers with plaid and check being big sellers and the classic lightweight cream and navy chino short if you are one of the more conservative players. You can even find some shorts these days that have UV protection and a pocket for your smartphone! If you find some in a subtle print, you can easily move from the green to the beach house in style. You must have been living in a cave if you weren’t aware yet that spikes are slowly becoming a thing of the past. The trend today is 100% spikeless. What do you look for in a gold shoe? Comfort, style, performance and reliability – there are what you should be looking for in every set of golf shoes you buy. 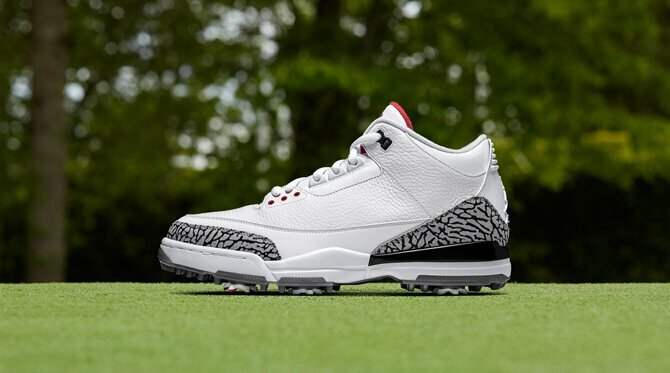 Spikeless golf shoes have fast become the must-have footwear style for golfers thanks to their versatility, stylish design and performance on the green. Nike golf retailer, Golfposer, have a wide range of spikeless designs. The other big benefit of going spikeless is that they save you a lot of packing space, because you can wear them on and off course, in the clubhouse or to go out for dinner for example. Sunscreen alone won’t save you from the harmful sun rays, and being out on the green all day definitely calls for some protective headgear. 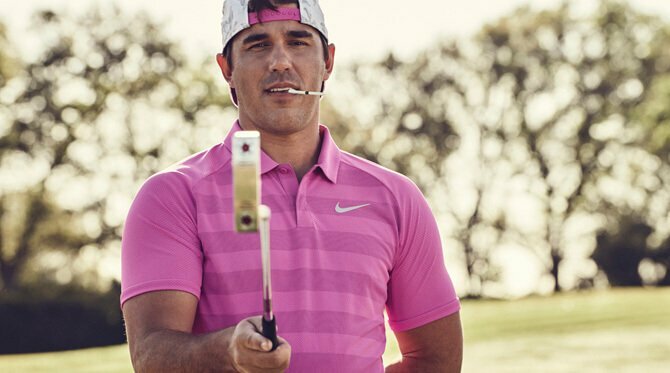 Keep your eyes shaded and your face protected with a cap that has a simple design, or if you want to make a statement, the new NIKE Magnolia Edition style is finished in an all over floral print – with a release date scheduled for Masters Week, 2018. Be honest, the last thing you need is sweat weighing down your swing and stinking up your game! 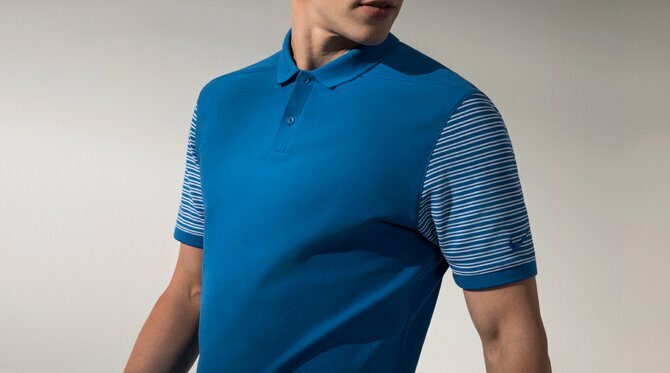 A moisture-wicking polo is as important as maintaining the proper form – keeping you feeling and looking cool. For longevity, avoid white as a base colour. 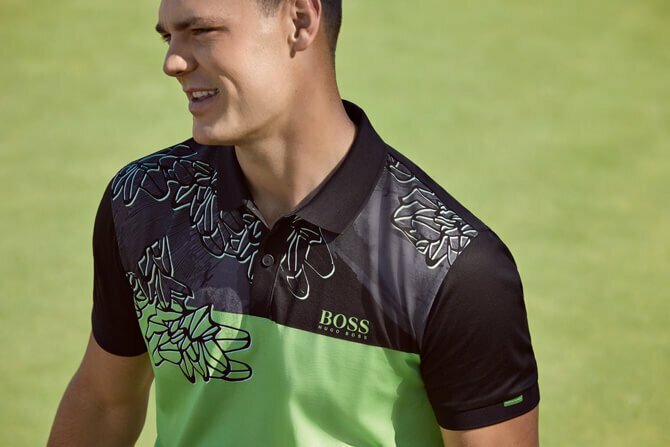 Instead, opt for red and navys – but not black as it will absorb too much heat on the green. 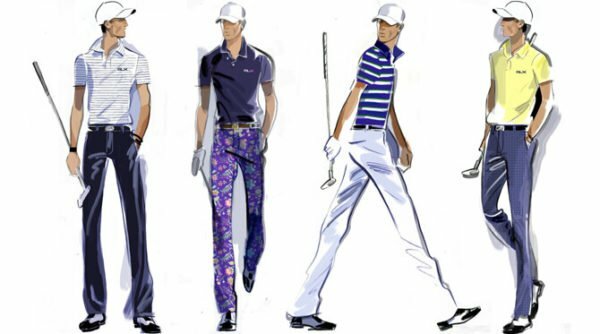 Yes, it’s not lie that if any one item of golf clothing shows just how much golf fashion has changed, it’s the good old fashioned trousers. Where one day, a classy pair of cream chinos where all you needed : comfortable, interchangeable and matched well with almost any colour – ideal! These days, the jazzier the better. Companies out there, like Loudmouth Golf and Royal and Awesome, are releasing increasingly outrageous slacks – and we can’t really get enough of them! One of golf’s most eccentric characters, John Daly, has made surreal slacks his signature and people love it. In recent years check, plaid and pinstripe patterns in bright and playful colours have been all the rage for golfers. Aside from being fashion conscious it is also important that you invest in lightweight and breathable golf trousers when playing abroad or in the sunshine. Not all golf holidays are filled with sunshine and clear skies, so you need a plan for the overcast days. When it’s cloudy, it’s a good idea to throw on a thin, lightweight sweater over a collared shirt. Investing in a sweater like this is ideal because it can be worn when your home as well as on holiday. As with the polo, avoid black or white and opt for greys or navy instead. You don’t have to wear a belt with a big logo if you’re not a professional golfer, but you can use your belt to enhance your golfing outfit . If you want to make a statement, switch up the strap and go for cool colors and patterns with a simple chino.